Home > Blog > How To Choose A Rhinoplasty Surgeon? Click these steps to be taken to that section of the article. The surgeon you choose should be well-educated and well-trained, with great credentials from prestigious institutions, both medical and educational. He or she should have a history of many successful surgeries, authenticated by testimonials from satisfied patients. The surgeon you choose should be capable of closed rhinoplasty procedures which are far less invasive than open procedures, and they should provide many options in terms of patient recovery. In addition to being a doctor and a surgeon, the person you choose should be board certified by the American Academy of Otolaryngology (AAO), the American Academy of Facial Plastic and Reconstructive Surgery (AAFPS), a member of the Rhinoplasty Society, and licensed to practice in your state (unless you wish to travel to your surgeon for your procedure). 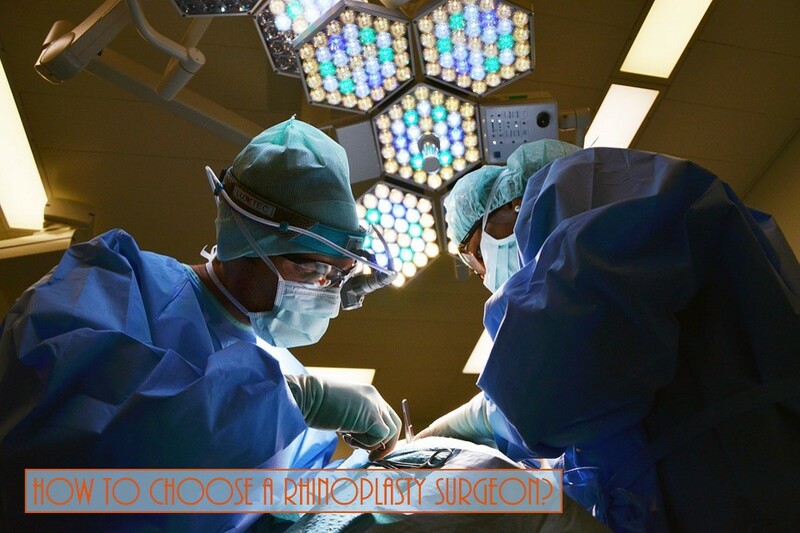 Any titles or awards in prestigious organizations pertaining to the Rhinoplasty field, indicate that the surgeon you choose is well respected by peers as well as patients. Rhinoplasty is an artistic, as well as a surgical, endeavor. The more awareness the surgeon has to beauty and aesthetics in general, the more likely your surgeon will be able to craft the facial results that you wish for. The surgeon you choose should have a biography revealing a strong interest in the artistic approach of a rhinoplasty procedure as a form of artistry. Confirm that the surgeon you choose has specialized in rhinoplasty, and has performed the procedure successfully many, many times. The more experience your surgeon has in rhinoplasty, the more familiar he or she will be with the procedure. Not only will such experience hone said skills, it will have presented the doctor with possible complications in the past, making your surgery much safer. No matter how highly recommended the surgeon is, or how impressive his or her credentials are, your feeling of confidence and comfort with the doctor as a person is what really matters. If you experience the doctor as a caring and compassionate person during your initial consultation, you will feel safe and confident that your surgeon is keeping your interests at heart. Never choose a rhinoplasty surgeon without seeing examples of their work beforehand. Most doctors have examples of their work are available for easy viewing on their websites and even different social platforms as well. You should make sure to assess the work your surgeon has done in the past so that you can look forward to the most pleasing results you can achieve in the future.